The throngs of New Yorkers who poured into Coney Island on a sweltering Sunday in July 1939 — shuffling past the rides, hot-dog stands and freak shows — confronted one last spectacle blaring just beyond the surf. But Donald J. Trump inherited more than just a real estate empire from his father. As a salesman, competitor, courter of politicians and controversy and above all, as a showboating self-promoter, Fred Trump was the Donald Trump of his day. Trump’s childhood friends have said they see in him his father’s intensity, but also a constant and often palpable need to please and impress the patriarch who ruled his family with a firm hand. Even today, Donald Trump seems to bathe in his father’s approval. A framed photo of Fred Trump faces him on his cluttered desk. Before he turned 21, Fred Trump and his mother, Elizabeth, started the construction company E. Trump and Sons, so named because only she was old enough to sign the checks. The business took off. At age 28, he won the mortgage service business of a troubled German bank, and by 1938, was bragging in the papers about the “throngs visiting” his developments in Brooklyn. That year, The Brooklyn Daily Eagle referred to him first as a prominent Long Island builder, then as the “Henry Ford of the home-building industry.” His ego grew accordingly. He took pride in his intellectual abilities, daring people to stump him with enormous numbers to calculate. “He wanted to show that he could add them in his head,” said Barbara Giffuni, a daughter-in-law of Vincent Giffuni, another builder and one of Fred Trump’s good friends. Almost as soon as President Franklin D. Roosevelt created the Federal Housing Administration in the 1930s, Trump eagerly sought to make use of its loan subsidies. “The working classes have been fully awakened as to the benefits of homeownership under the FHA. 25-year mortgage plan,” he said at the time. To really get their attention, he attached price tags like $3,999.99. “One penny more and it won’t sell,” Trump said his father had taught him. Donald Trump said he learned his father’s values, and his killer sense of competition, by following him to building sites and watching him squeeze the most out of every dollar. “My father would go and he’d pick up the sawdust and he’d pick up the nails, the extra nails, and he’d pick up the scraps and he’d use whatever he could use and recycle it in some form or sell it,” Donald Trump said Thursday in a speech to the National Association of Home Builders. One time some of Donald Trump’s friends were vexed why his wealthy father would not buy his son a new baseball glove. Trump said it was because his father suspected him, correctly, of playing dumb about the price of the mitt he wanted, and of trying to get the salesman to go along with it. 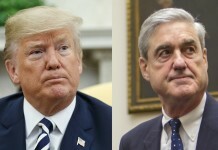 And years before Trump became known for spreading campaign money around, regardless of party affiliation, he watched his father court Abraham D. Beame, who would become mayor, and the other power brokers of Brooklyn’s Madison Democratic Club. Trump, who is particular about his physical appearance, also takes after his father in other ways. He pointed out a picture of his father, immaculately dressed and coifed, in a book of family photos that his own children gave to him for his 70th birthday in June. There were differences. Donald Trump wanted to build in Manhattan. His father didn’t see the point. “This is nice and easy, what are you doing over there?” Fred would say to his son, according to Walter, who worked with his cousin and uncle. 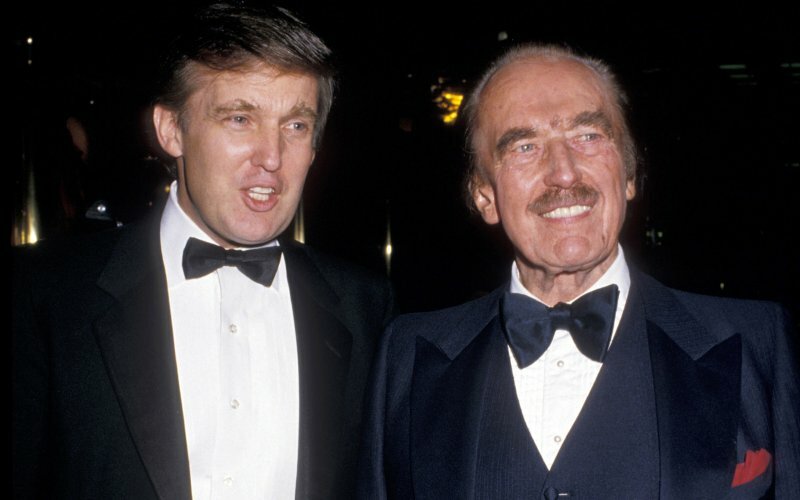 Trump ultimately eclipsed his father, though Fred Trump, who was married to his wife for more than 60 years, joked to his thrice-married son that the “one place you’ll never beat me is with the marriage stuff,” Donald Trump said. At Fred Trump’s wake, at the Frank E. Campbell funeral home, his son stepped forward to address the political, real estate and society power brokers in the crowd. One attendee recalled Donald Trump’s unorthodox ode to his father, which Trump confirmed.